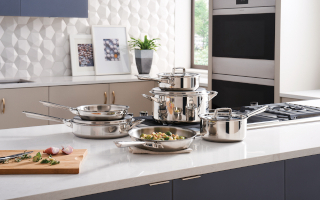 Welcome to our guide to induction cooking! 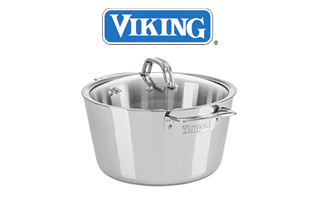 Use it to find information to help with induction cooking. 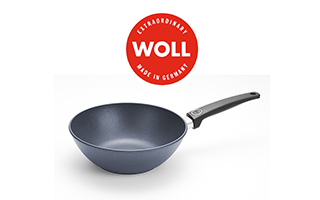 We have a large selection of brands of cookware compatible with induction cooktops. 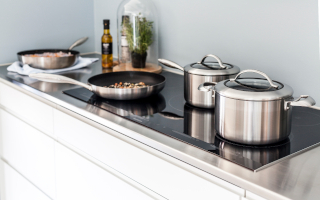 Induction cooking uses the transfer of magnetic energy, rather than a flame or electric element to create a quick, efficient way of cooking. 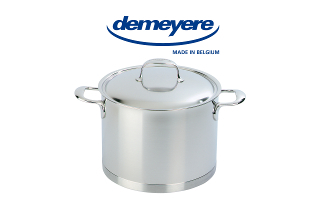 Water boils much more quicky, temperature is controlled easiy, and pots stay mostly cool while cooking. 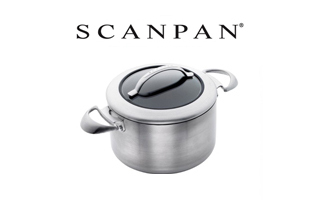 This revolutionary way to cook is becoming more and more popular in a variety of home kitchens. 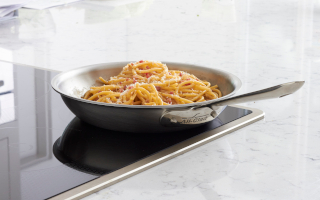 What are the benefits of Induction cooking? Safe: The cooking surface stays cool even during the cooking cycle. Induction cooktops are extremely safe because there's no open flame or exposed heating element as compared to gas or electric. Easy to clean: The surface of an induction cooktop does not heat, therefore overflows and spills do not stick. 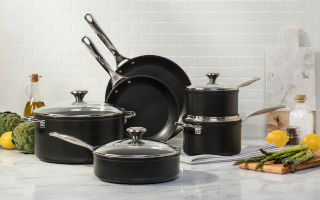 Not all pieces of cookware can be used on induction cooktops and stoves. 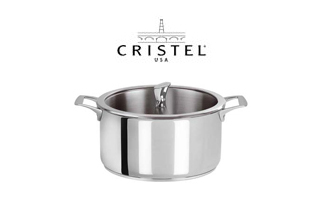 Since induction technology uses the power of magnetism, the cookware piece itself must be magnetic and have a flat bottom. 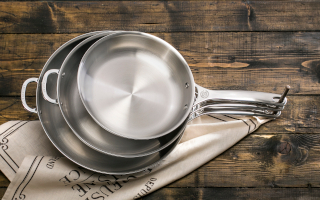 For this reason, cookware made from aluminum, copper or glass, including Pyrex will not work on its own. 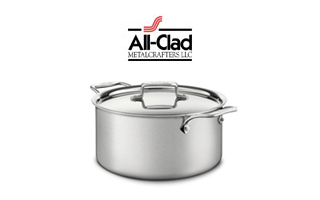 Induction cookware must be made of a magnetic-based material, such as cast iron or magnetic stainless steel. 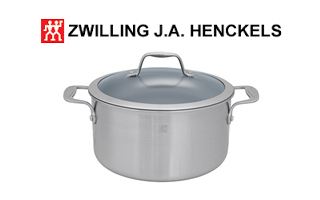 Fully clad cookware brands, such as All-Clad, Cristel, Demeyere, Hammer Stahl, Hestan Nanobond, Le Creuset and Zwilling work on induction cooktops because they're magnetic. 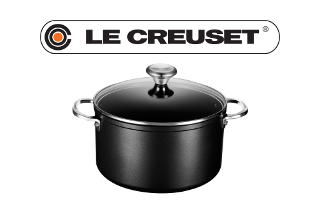 Cast Iron cookware also works on induction, like Le Creuset Signature Cast Iron & Staub Enameled Cast Iron. 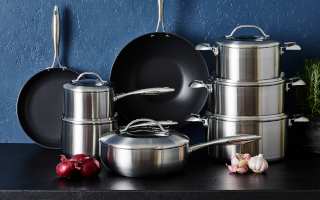 If you're not sure if your cookware will work with induction cooktops, try sticking a magnet to your cookware. If it sticks, it should work; if it doesn't, most likely it is not induction compatible.